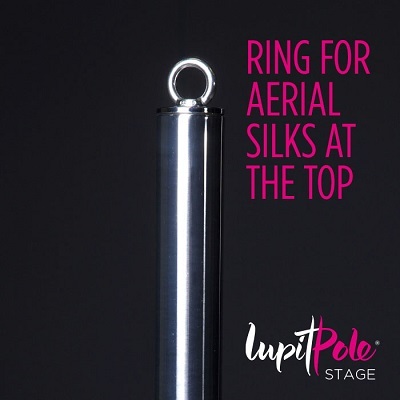 Integrated Lupit Pole Quick Lock™ a unique fast locking system, which enables a performer to change from spin to static in less than a second. No hex keys, no screws, just the simple twist of the locking ring on the lower bearing system. The performer can change the mode in the middle of a performance. 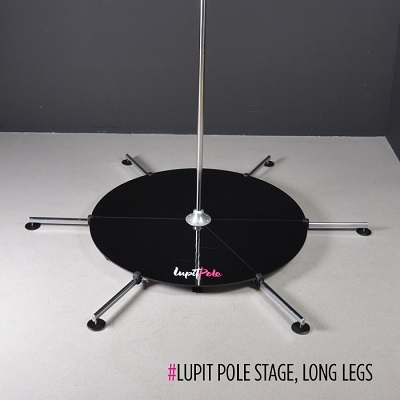 LUPIT POLE STAGE is portable free standing pole that can be assembled in just a few minutes, giving you the opportunity to use the stage wherever, indoors or outdoors. It comes in two variations: short legs and long legs. The short legs option allows the use in less space and gives a complete comfort to a dancer performing medium stability demanding elements. The long legs option is designed to withstand more stability demanding elements. Short legs option can ensure stability of the stage when 70 kg dancer spins with 0,81 revolutions (turns) per second1,7 meters high on the pole. Long legs option can ensure stability of the stage when 70 kg dancer spins with 1,02 revolutions (turns) per second 1,7 meters high on the pole. Note: The bags are not included in the standard set. Please select the "carry bags needed" option if the carry bags are required. 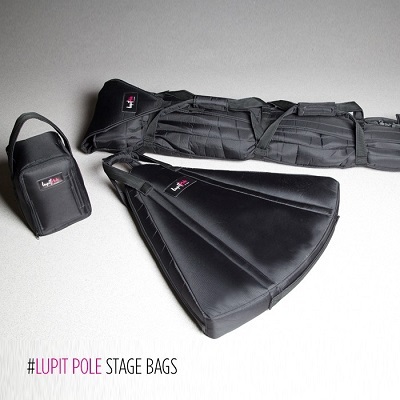 Perfect for storing all the parts safely when the LUPIT POLE STAGE is not in use. 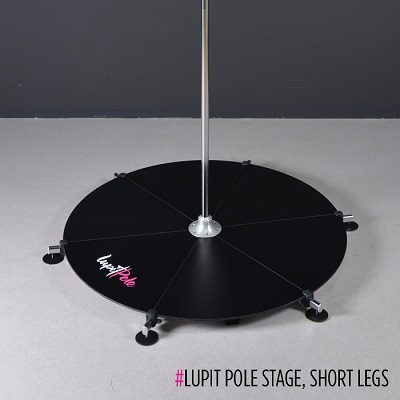 Ergonomically designed with wheels for easy transportation of the LUPIT POLE STAGE. Good looking, professionally made with high quality materials.